Yesterday morning, Matthias Kirschner opted out of the "voluntary" full-body scanners at Berlin's Schönefeld, and discovered that "voluntary" means that "if you don't do it, they will barrack you endlessly about your choice, punitively repeatedly perform the same searches over and over, and attempt to delay you so you almost miss your flight." This is also the case at Heathrow in London: the times I've opted out there, I've been told to sit and wait for a supervisor (fair enough), but then the screeners took it upon themselves, singly and in bunches, to loom over me and tell me how foolish I was being, how the machines were safe and had good information security, etc -- insisting at first that this was their duty ("to find out why I was opting out"), and then admitting (after I flashed my National Union of Journalists press-card and started writing down their names) that this was the job of their supervisor and it was merely recreational abuse on their part. 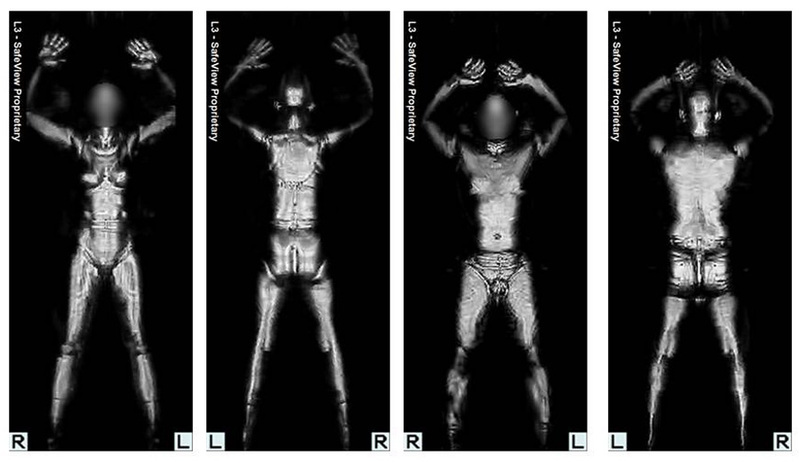 Incidentally, five years ago, German cops dismissed these scanners as "useless." Then the second officer brought me to my luggage, and asked me to unpack everything to have another scan of my belongings. During that he asked me why I refused the "body scanner" and there was some back and forth. As always I stayed friendly all the time, as I know that for the officers my behaviour meant more work, and that they are following orders. He explaining me they just see the contours and nothing else. I told him, that I do not trust what data of my body shape is saved and where it is stored. During the talk I also told him that what they see on their screens, and what is saved on the disk can be different things, and that just because they cannot access files from before does not mean they are not stored. In the talk he explained me that they have to ask for the reasons why I am not doing the (see above "voluntary") check, and evaluate if this is plausible or if I am covering-up something. Pregnancy or implants would be a plausible reason. When I asked about data protection he said that is not a plausible reason, and that in such cases they would also have to ask the police to check you again. After my luggage was scanned the second time, and I had all my belongings in the bag again they said they will now have to do the testing for signs of explosives. I told them that I was already checked for that, but they said that now my luggage will be checked. Well, so be it, another check and I can assure you that I am now quite sure that neither I nor my belongings I were in contact with explosives recently.